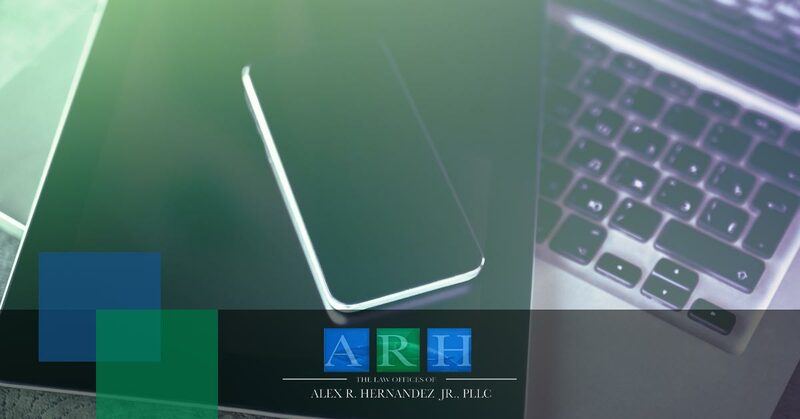 Alex Hernandez Law: Let Us Advise You On Social Media! Social media is part of nearly everyone’s life these days, especially as smart phones, tablets, and other forms of technology are becoming more prevalent and part of everyday life. As people reveal personal parts of their lives via their online profile or daily feed, there is less and less that is off-limits. Late-night musings of a lost love, a baby’s sleep and feeding schedule, or health issues are now fair game and most individuals don’t bat an eye when they read their friend’s or follower’s statuses. While it can now be second-nature to take to your profile and post about life’s monotony, it’s never a good idea to post about a personal injury case you are involved in. Many people don’t understand that anything posted on the internet is technically public property, and your angry post ranting about the other individual involved in the accident could be used against you in court. In this blog, we’ll discuss some important guidelines to follow when making posts on your personal page so as to not compromise yourself and your legal case. Don’t make the mistake of choosing a lawyer who won’t advise you in every aspect of your lawsuit or who allows important details to slip by. Contact The Law Offices of Alex R. Hernandez Jr., PLLC today for legal advice and representation in both Victoria and Corpus Christi, Texas. Our team of dedicated and passionate lawyers will work with you to get justice for your personal injury case. Call now! It can be tempting to post a long paragraph raking the person who T-boned your brand new car over the coals, but save your anger for discussion with close family and friends. Defamation is a real thing, not just a fake charge on your favorite crime show. If you do want to post to inform others of your safety and that you survived a potentially harmful crash, post only that you and any friends or family members are alright and then leave it at that. Also, request privacy and to be left alone. Well wishes and people coming to your defense may come from the heart, but it’s not worth the good intentions if they happen to compromise the lawsuit. Any other details, especially about the other individual involved, need to be saved for real-life conversations with your lawyer or legal team. Keeping your profile safe from vengeful posts detailing your irate thoughts towards the other individual won’t only make you seem a little too passionate on social media, but they can easily be downloaded and saved by the individual or the lawyer representing him or her and used as ammunition in court. Don’t throw away your case with a few heated social media posts. If you truly want to keep everything transparent during your personal injury case, it’s always the best option to discontinue use of your social media accounts altogether. If you want to keep the temptation of getting back on your profile or feed at bay, take the extra step and deactivate your personal accounts. While this may seem a little intense, a particularly ruthless lawyer could sift through your posts and find information that could incriminate you. A photo of you having a glass of wine with dinner posted by a friend a few hours before the accident could end up being grounds for driving under the influence or even inebriated. You might not even have been the least bit tipsy because you had a big meal and then stayed at the restaurant for a couple of hours, but it could hurt your case and you as well. Don’t allow someone the pleasure of finding compromising evidence that could derail your case. If your accounts are no longer available when someone searches your name, you may have dodged a major bullet. It may seem perfectly fine to use your personal email or a different private messaging system to talk with friends, coworkers, or family members about the accident and legal case, but just like making public posts about the individual who hit your car is never a good idea, sending angry emails can also come back to haunt you. Even text messages and office chats can cause a hiccup in your case, because you never know who you can trust. Only discuss details of the case with your lawyer, and make sure to do this in person, never through a phone call. Don’t run the risk of thinking your information is safe because you’re communicating using your personal accounts. Ensuring your complete privacy is the most important thing you can do during this time and to keep yourself safe and transparent in court. Even messages that may seem relatively boring and nondescript could be presented as something entirely different. Save yourself and your lawyer unwelcome surprises in court by deactivating all of your social media accounts until your case is completed. Definitely assume that a lawyer or insurance company will try to access your closest family and friends’ accounts and will carefully check to see if there is anything potentially damaging that could be brought to court. A simple post showing you hanging out with family and appearing uninjured or unaffected by the accident (even if you are still struggling with pain from your personal injury), can cause the opposing lawyer to contest the fact that you are actually hurt. A picture is truly worth a thousand words, and in this case, it could actually negate any words you have to say about your accident or the injuries sustained from it. If you do have a reason to be shown in photos, such as a family event or your best friend’s wedding, make sure to alert your lawyer to this previous arrangement beforehand. Keeping yourself safe on social media during this time is vital to a positive outcome of your personal injury case. Social media is a great way to connect with friends, family members, and other internet acquaintances. However, if you’re in the middle of a personal injury case or lawsuit, a seemingly harmless photo or status update can completely void your case or cause other serious issues when all of the evidence is compiled. If you were recently involved in a personal injury case, listen to your lawyer and deactivate and delete your social media accounts. You may miss out on a cousin’s baby announcement or a college roommate’s move, but avoiding a wrench being thrown into your lawsuit due to an angry comment or frustrated photo caption is definitely worth it. You will have a better chance of winning the lawsuit if you don’t have any compromising social media evidence to cause additional hurdles. If you’re searching for a committed legal team that will help you get justice for your personal injury, call The Law Offices of Alex R. Hernandez Jr., PLLC. We’ll represent your case and give you excellent legal advice. Located in both Corpus Christi and Victoria, Texas, we’re proud to have two law office locations to better serve our clients. Contact us now for legal advice and representation!